TABLE 29-5 -- OTHER STRUCTURAL DISORDERS AND ASSOCIA"
entrapment neuropathies.^1 Although nonspecific tenosynovitis is the most common cause of rising canal pressure, other causes may be relevant: amyloidosis may infiltrate the tendon sheaths, rheumatoid arthritis may cause synovial tissue to invade the canal, or hypothyroidism may cause tissue edema. 29-7 ). The symptoms and signs of proximal median neuropathy differ from those of CTS because the entire median nerve, including the motor branches to the flexors of fingers and thumb, is affected. The archetypal motor and sensory loss anticipated with a lesion of the median nerve at three different levels is summarizedin I§bJe...29-6 . Not all listed muscles are always affected, and EMG testing is more sensitive than manual muscle testing. It is estimated, based only on clinical criteria, that half of the cases of CTS seen in the United States are work- related. Motions of the wrist that require frequent rotation or flexion-extension, especially with force, seem to produce the highest incidence of disease. Carpenters, butchers, office workers who use keyboards, dental assistants, and musicians have a high incidence of CTS. Many workplaces have made ergonomic redesign a priority because of the rising medical costs of overuse syndromes, including CTS. Other overuse syndromes include tendinitis, tenosynovitis, local arthritis, vasospastic conditions due to vibration, and functional thoracic outlet syndrome. The last of these is discussed subsequently. Figure 29-7 Median nerve diagrammed in relation to the volar aspect of the right forea A, Compression within or near the pronator teres muscles, fibers of which are shows, Anterior interosseous nervec, Median nerve at the wrist, beneath the volar carpal ligament, which is shown. promptly resolve with delivery. Women are more likely to be diagnosed with CTS than men by a ratio of 60:40. In patients with occupational CTS, this ratio may be reversed. The higher frequency in women may reflect smaller wrist circumference, which correlates with CTS in some studies, or the different work conditions experienced by women. Clinical Features and Associated Disorders. Patients with classic CTS report nocturnal distal pain and paresthesias. Pain may be present throughout the arm up to the level of the shoulder, but tingling is typically felt more distally. Some patients can detect the location of the tingling in the index and middle fingers, but many find it more difficult. Typically, patients rub and shake the hand because it feels asleep. On examination, patients in the early stages of disease have slight weakness of thumb abduction (away from the plane of the palm) and slight sensory loss, which is sometimes best detected on the dorsum of the index and middle fingers. There may be paresthesias into the palm with tapping over the wrist crease (Tinel's sign) and with forced wrist flexion for 30 seconds (Phalen's sign). In the later stages, patients have visible thenar atrophy and marked weakness of thumb abduction and opposition. Atypical forms of CTS exist, and one may observe marked autonomic dysfunction, acute onset, marked sensory loss, or unexpected neurological findings due to anatomical variations. Patients with proximal median neuropathy may have partial or confusing deficits. Often the diagnosis is suspected because deep palpation over the course of the median nerve is painful and causes paresthesias. In about 75 percent of patients, CTS is accompanied by nonspecific tendinitis in the flexor tendons. Hypothyroidism, atypical mycobacterial infection, diabetes, rheumatoid arthritis, and acromegaly are also associated with CTS. Pregnancy accounts for about 1 percent of CTS cases. In half the patients with symptomatically unilateral CTS, NCV in the opposite extremity is delayed. Additional ulnar nerve compression, cervical radiculopathy, bursitis, tendinitis, and osteoarthritis often occur in CTS patients, as well as an array of rheumatological complaints. Differential Diagnosis. Cervical radiculopathy is a common diagnostic issue when the diagnosis of CTS is under consideration. Patients with radiculopathy are more likely to report neck pain, radiating pain with coughing or sneezing, and daytime (as opposed to nocturnal) paresthesias. With C6 or C7 radiculopathy, the biceps or triceps tendon reflex may disappear. Sensory loss proximal to the wrist is not characteristic of median neuropathy. A theory that proximal compression of a nerve root will worsen distal entrapment by impairing axonal transport (the so-called double-crush syndrome) has not been proved. y Most investigators believe that in patients with two sites of compression, for instance, C6 radiculopathy plus CTS, the disabilities are purely additive. Large vessel vascular disease, leading to hemispheric transient ischemic attacks (TIAs), must be considered because the paresthesias of CTS may be brief enough to suggest TIAs. However, TIAs are rarely nocturnal and are not painful or unpleasant. Furthermore, hand tingling in a person with a TIA is usually associated with other neurological signs. Diffuse peripheral neuropathy is a diagnostic problem with respect to CTS; it may complicate the electrophysiological investigation. Diabetic axonal neuropathy is the commonest coexisting neuropathy. Evaluation. A diagnosis of CTS is usually evident from the history, and the neurological examination should focus on excluding other possible diagnoses. Tinel's and Phalen's signs are present in about half of patients with CTS and may be helpful. Electrophysiologic testing is important for the diagnosis of CTS '33] and should be carried out in nearly every instance prior to surgical release. If the clinical picture is straightforward and no therapy is planned other than conservative measures, electrophysiological testing can be omitted. Testing depends on the measurement of sensory action potentials from median innervated digits, especially the index finger, and comparison with other sensory potentials in that hand, such as radial or ulnar. Comparison with the opposite hand is usually done, but the results are limited by the high frequency of bilateral nerve conduction abnormalities. In a typical patient with mild CTS, the size of the median sensory action potential is maintained, but demyelination causes delay when it is measured at the wrist. In more advanced cases the compound muscle action potential is also delayed. Management. Many patients with CTS are managed successfully by conservative means, y with reduction of any activity that may exacerbate tenosynovitis, use of a wrist splint, and oral nonsteroidal anti-inflammatory drugs (NSAIDs), such as ibuprofen 1600 mg/day or naproxen 750 mg/day. The splint should hold the wrist in a few degrees of extension^ and may be worn at night or during wrist use. Prolonged or continued wrist splint use may lead to reduced range of motion and should be discouraged. Prognosis and Future Perspectives. In general, the prognosis for CTS is good. The condition is not disabling unless there are compounding problems such as compensation issues, psychological impairment, reflex sympathetic dystrophy, or an occupation requiring great strength or precise control of the digits (as in instrumental musicians). Surgical techniques are under constant review and modification. Several procedures for endoscopic carpal tunnel release have been introduced. Overall, these seem to have efficacy that is about equal to that achieved with standard release procedures, as judged by randomized trials reported thus far. y There have been reports of hemorrhage within the palm, ulnar nerve compromise, and other complications that do not occur with standard release. The endoscopic procedure needs further evaluation. In many industries, major efforts have been made to avoid the risk of occupational CTS, along with other overuse syndromes, by undertaking ergonomic redesign of work stations and tools. These efforts will continue in the future, since the economic consequences of these conditions can be very severe. In fact, within the last 2 years, premiums for worker compensation insurance have fallen slightly in many parts of the United States, possibly signaling a change in incidence of overuse and CTS in the workplace. Pathogenesis and Pathophysiology. The ulnar nerve is subject to entrapment at the elbow and, less commonly, can be traumatized in the palm or at the wrist. The common site of compression is at the cubital tunnel, which consists of the edge of aponeurosis of the flexor muscles, beneath which the nerve must pass ( iiFig.i^Q-^ ). This area is located about 3 to 5 cm distal to the medial epicondyle. Compression within the cubital tunnel is increased by elbow flexion. Less commonly, the nerve can be compressed externally at the elbow groove (for instance, during anesthesia), or by synovium in rheumatoid arthritis patients, or by callus following a fracture. Epidemiology and Risk Factors. The prevalence of ulnar nerve disorders is unknown. Based on the apparent frequency of abnormalities in routine EMG/NCV studies, asymptomatic or minimally symptomatic ulnar neuropathy is very common, approaching the range of incidence of CTS. Risk factors for ulnar neuropathy are poorly defined. 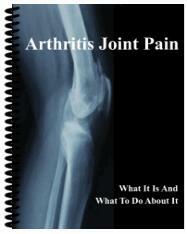 Arthritis of the elbow may be a contributing cause. Persons who habitually rest the flexed elbow on a table or chair, specifically those with chronic pulmonary disease, can compress the nerve. There is a much lower incidence of ulnar neuropathy as an occupational disorder compared with CTS, but musicians who use one arm in a flexed position (cellists, violinists) commonly develop ulnar neuropathy. In baseball pitchers, particularly those who employ the slider and curve ball pitch are more at risk than fast ball pitchers. Other than these exposures, ulnar neuropathy is more common in the nondominant side, suggesting that repeated elbow flexion is more important etiologically than is repeated muscular usage. Ulnar neuropathy at the elbow is the most common anesthesia-related compressive neuropathy. Ulnar neuropathy at the wrist can be caused by ulnar artery thrombosis at that site, by lacerations or ganglia. The ulnar nerve lies outside the carpal tunnel adjacent to the ulnar artery. The first occupational focal neuropathy described was observed by Ramsay Hunt, who reported compression of the ulnar nerve at the wrist in telegraph operators, who used the proximal palm to tap the key. Figure 29-8 Ulnar nerve. Diagrammed in relation to the volar aspect of the right forearm Compression at the cubital tunnel, by the aponeurosis of the flexor group. The branch innervating FCU is seen above the compression, and the branch innervating FDP to the digit V is below it s, Compression at the wrist (Guyon's canal). Diabetes mellitus may be a comorbid illness and seems to predispose to ulnar neuropathy, possibly by impairing the microvasculature of the nerve. Rheumatoid arthritis may cause synovial overgrowth and compress the ulnar nerve. Differential Diagnosis. Neurogenic thoracic outlet syndrome, due to an aberrant ligament or band compressing the inferior trunk of the brachial plexus, is described later. The clinical findings may resemble those of ulnar neuropathy. This entity can be detected by finding weakness in median innervated muscles as well as ulnar innervated muscles and by the presence of sensory loss on the medial forearm. The same anatomical features pertain to metastases or a primary tumor within the brachial plexus or to radiation plexopathy. Cervical spondylosis affecting the C8 nerve root is quite rare; most radiculopathies affect the C6 or C7 root. Symptomatic thoracic outlet syndrome, in which the plexus is compressed by elevated arm positions or by muscular spasm, does not cause sustained neurological abnormalities. Evaluation. The sensory examination is important, particularly in cases of early disease, in which sensory abnormalities may be the only findings. Sensory loss with ulnar neuropathy typically stops at the wrist creases. If the ulnar neuropathy is at the level of the wrist, the dorsum of the hand will be spared. Clinical evaluation should include a careful study of the pattern of weakness. Ulnar neuropathy causes weakness of adduction and abduction of all fingers, and adduction of the thumb. Importantly, flexion of the terminal phalanx of the fifth (or fourth and fifth) digit is carried out by the flexor digitorum profundus IV and V, a muscle that is located in the forearm. 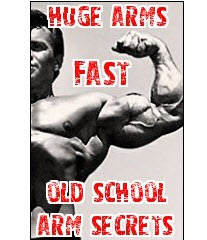 If this is the only flexor found weak, cubital tunnel syndrome is very likely. With lesions of the ulnar nerve above and at the elbow, there can be atrophy and flattening of the hypothenar eminence and interossei. The hand may demonstrate a "claw-hand" deformity (main en griffe), with the fifth, fourth, and, to a lesser degree, the third fingers hyperextended at the metacarpophalangeal joints and flexed at the interphalangeal joints. The hyperextension at the metacarpophalangeal joints results from paralysis of the interossei and ulnar lumbricals. This results in the unopposed action of the long finger extensors; the flexion at the interphalangeal joints is due to tension from the long finger tendons. Ulnar paresis or paralysis also affects extension at the interphalangeal joints of the second to fifth fingers, adduction and abduction of the second to fifth fingers, and abduction and opposition of the fifth finger. Froment's prehensile thumb sign (signe du journal) may be present as a result of adductor pollicis weakness. This sign occurs when a sheet of paper, grasped between the thumb and index finger, is pulled; the proximal phalanx of the thumb is extended, and the distal phalanx is flexed. Electrophysiological testing focuses on the demonstration of slowing of motor and sensory fibers at the elbow. y Sometimes it is possible to show that only the ulnar nerve is affected but not to localize the disorder well. This happens particularly when there is significant axonal loss in patients with long-standing neuropathies. have no role in the treatment of patients with the cubital tunnel syndrome. The radial nerve is subject to compression at several sites („Table ^Q-B ). [d An acute compression can occur at distal parts of the brachial plexus, in which the nerve is compressed against the humerus, usually when the patient falls asleep with the arm draped over a chair; this is the so-called Saturday night palsy. Fractures involving the shaft of the humerus can damage the nerve, since it is closely applied to the bone through much of its course. There is a radial tunnel located beneath the extensor carpi radialis, 3 to 4 cm distal to the lateral epicondyle. Finally, the radial sensory branch, supplying the dorsum of the wrist and hand, is subject to laceration or contusion (..Fig, 29-9 ). Persons subject to acute intoxication from alcohol or drugs are those most likely to develop an acute radial nerve compression. The radial tunnel syndrome is usually chronic and is associated with anatomical variations near the elbow that have no predictable risk factors. Radial nerve palsy causes wrist drop with paralysis of finger and thumb extension. Because the intrinsic hand muscles are weak in this position, apparent palsy of finger abduction is seen; this can be corrected by supporting the fingers. In patients with acute Saturday night palsy, the brachioradialis is weak, but the triceps muscle is usually only partially affected. Sensory loss is usually slight. The radial tunnel syndrome affects the posterior interosseous nerve, so that wrist extension can be spared because the extensor carpi radialis is above the level of the compression. Local pain and a Tinel's sign at the site of the radial tunnel help to identify this uncommon syndrome. Radial tunnel syndrome can resemble the signs of a C7 radiculopathy, but the weakness of the finger flexor muscles seen with the C7 deficit soon leads to correct localization. Acute radial palsy is usually painless, but the pattern of weakness, including pseudo-weakness of intrinsics, is readily recognizable. Focal motor neuropathy, which is probably a variant of chronic inflammatory neuropathy, often affects the radial nerve at the region of the elbow; usually other nerves are affected too. Radiological studies are usually not required. If there is a question of hematoma or fracture, plain films or ultrasound examination will suffice. Figure 29-9 Radial nerve diagrammed in relation to the dorsal aspect of the right foreaA, Compression at the radial tunnel. The branch innervating the ECR is seen above the point of compression. If nerve conduction studies are carried out acutely, they will show conduction block because the acute disorders are demyelinative in most instances. Electromyographical studies in patients with radial tunnel syndrome can be very helpful in locating the exact site of nerve compression. If an acute radial palsy lasts for more than a few days, the patient should be referred for physiotherapy and for occupational therapy to allow fitting of a spring-loaded brace for finger and wrist extension. Radial tunnel syndrome patients may require surgical exploration; the two indications for surgery are pain and established or progressing weakness.43] Acute radial palsy patients usually recover completely within 4 to 6 weeks. Even after severe injury to the nerve, full late recovery can occur. With bracing, acceptable use of the hand can be maintained. True neurogenic thoracic outlet syndrome (TOS) is due to an aberrant band or ligament crossing the brachial plexus, usually between the transverse process of the C7 vertebra and the sternum or first or second rib. The inferior trunk of the plexus, consisting of fibers derived from C8 and T1 nerve roots, is compressed. The syndrome is very rare.y Symptomatic, or secondary, TOS does not involve an identifiable anatomical structure causing nerve compression and is believed to be due to an abnormal shoulder posture or to muscle spasm. It is most often diagnosed with certainty in persons who use one or both arms above the head or in instrumental musicians. Sometimes there is a preceding history of minor cervical or shoulder trauma precipitating muscle spasm or a change in shoulder or neck posture. Some patients are tall, slender, and more round- shouldered than average ("droopy shoulder syndrome"). In addition, vascular types of compression can occur within the thoracic outlet, usually affecting the subclavian artery. Surprisingly, neurogenic and vascular compression do not usually coexist, most patients demonstrating one pattern or the other, but not both. There are no known risk factors for vascular TOS. Since some patients develop thrombosis of the subclavian or innominate artery, a thrombotic disorder would be a risk factor. The diagnosis of true neurogenic TOS requires an anatomical abnormality, which is presumably congenital. Symptomatic TOS may be occupational. There may be an overlap with overuse syndrome or with other nerve entrapments, and if the clinical findings are slight, a firm diagnosis may not be possible. True neurogenic tOs causes a stereotyped clinical picture. Patients complain of numbness and pain in the affected arm. There is weakness of all intrinsic muscles of the hand, corresponding to the C8 and T1 myotomes, and often starting with the thenar muscles. Sensory loss, if present, is located on the ulnar side of the hand and forearm. With further compression of the plexus, extensors of the thumb and index finger and pronator quadratus are affected. Symptomatic TOS causes positional numbness and pain without demonstrable neurological deficit. There may be pain on palpation over muscles or nerve trunks. The radial pulse may diminish with arm abduction, but the value of this observation is much reduced by the fact that it is present in 15 percent of normals. Alternative diagnoses center around other conditions that affect the lower plexus. These include metastatic cancer, radiation injury, syringomyelia, and, rarely, lower cervical disc herniations. Nerve conduction testing is important, mainly to exclude atypical median or ulnar neuropathies. The plexus injury in true neurogenic TOS is axonal in type, so that reductions in ulnar sensory action potentials, accompanied by EMG findings in the C8 and T1 myotomes, are to be expected. An MRI scan of the plexus and cervical spine is advisable to exclude tumor. Many tests of pulse volume in various arm positions have been described in the past, but they have little role in modern medicine. If there is a suspicion of subclavian stenosis or occlusion, angiography or MR angiography should be carried out without delay. Symptomatic TOS is treated by physiotherapy, consisting of a program to strengthen the muscles and improve cervical and periscapular strength and posture. Neurogenic TOS may require surgical release; for proper visualization, a retroclavicular approach is best, although an extensive literature describes transaxillary first rib removal, an unproven procedure that has many described complications. y The prognosis of patients with symptomatic TOS depends on proper management through physiotherapy. The prognosis of those with neurogenic TOS is unknown owing to the marked rarity of the disorder. some of the causes of sciatic nerve lesions. Such compression may occur following fractures or other acute traumatic lesions. Forcible inversion of the foot, which results in stretching of the nerve and damage at the level of the fibular head, may cause peroneal dysfunction. Other causes of peroneal damage include improperly applied casts or tight garters, bandages, or stockings. Some patients may be susceptible to peroneal compression including those who were unconscious from drugs, anesthesia, or illness with coma. Excessive weight loss in the presence of chronic illness may also predispose the patient to peroneal compression. Certain occupations including those that require prolonged sitting, squatting, or kneeling may provoke peroneal dysfunction. Finally, ganglia or tumors of the nerve or neighboring structures may be associated with compression of the peroneal nerve. Tibial nerve dysfunction resulting from tarsal tunnel syndrome consists of entrapment of the posterior tibial nerve at the level of the medial malleolus. This syndrome is quite rare and usually occurs after ankle fracture or in patients with rheumatoid arthritis. Any or all of these divisions of the posterior tibial nerve may be affected. The risk factors for peroneal or sciatic mononeuropathy are those associated with any acute compression, namely, local trauma, fracture, or prolonged unconsciousness. Peroneal nerve compression can occur with prolonged squatting and has been seen in vegetable or fruit pickers working in fields. Diabetes is a risk factor for sciatic or peroneal neuropathy, probably because it contributes to vascular insufficiency and predisposes to nerve infarction or conduction failure if the nerve is compressed. The sciatic nerve innervates the knee flexors and all the muscles below the knee. Therefore, complete palsy of the sciatic nerve leads to marked instability of the foot and to a severe impairment of gait. A complete palsy of the sciatic nerve is extremely rare and would not be expected from sciatic nerve entrapment. The entire foot except for a small region supplied by the saphenous nerve over the medial malleolus is supplied by the sciatic nerve. With entrapment, pain or paresthesia may radiate into these territories. Peroneal palsy is usually acute and is the result of external pressure applied to the nerve in its vulnerable fixed position against the fibula. Loss of eversion (if the superficial division is involved) or of dorsiflexion of the toes and ankle (if the deep division), or both, are found. Sensory loss is much more apparent with lesions of the superficial division, and such loss involves the lateral calf, the lateral malleolus, the dorsum of the foot, and the medial three or four toes up to the interphalangeal joint. With lesions of the deep division, the sensory loss is smaller and involves the small area between the first and second toes and the web space and the adjacent portion of the dorsum of the foot. In common acute compressive peroneal lesions, pain is not a typical complaint, and there are few or no sensory symptoms. With entrapment or chronic lesions, patients may experience radiating pain and slowly progressive motor and sensory disturbances. The primary symptom of tarsal tunnel syndrome is a burning, unpleasant pain in the sole of the foot. This pain may become worse during rest or while sleeping at night. Pain and sensory disturbances over the entire plantar surface of the foot may occur. With involvement of one or two divisions of the posterior tibial nerve, these findings may be restricted to only a portion of the plantar surface. Lesions of the sciatic nerve must be distinguished from herniated lumbar disc disease. Most patients with sciatic pain due to lumbar disc disease have monoradicular symptoms. Thus, pain radiating to the lateral side of the foot and small toe is associated with S1 lesions; pain radiating to the dorsum of the foot with L5 lesions; and pain radiating to the medial part of the calf with L4 lesions. Marked weakness of both the anterior tibial and gastrocnemius muscles suggests sciatic neuropathy. Other disorders to be considered in the clinical setting of sciatic nerve dysfunction include lumbar spinal stenosis (see earlier discussion) and vascular (diabetic) neuropathy (see Ch§pter...38 ). In patients with progressive sciatic deficits with pain as the initial symptom, intraspinal carcinoma, lymphoma, and myeloma should be included in the differential diagnosis. L5 radiculopathy may resemble peroneal dysfunction, yet in most patients there is accompanying back pain or sciatic pain. In these cases, weakness of both eversion and inversion and the loss of sensation above the midpoint of the calf of the outer surface, together with the greater weakness of the extensor hallucis than of the anterior tibial muscle, suggest an L5 radiculopathy. In distinguishing tarsal tunnel syndrome from other disorders, the examiner should consider the varied causes of foot pain. These include plantar fasciitis, stress fractures, bursitis, and trauma to the plantar nerve distal to the tarsal tunnel. Diabetic neuropathy causing burning painful feet may also be difficult to distinguish from bilateral tarsal tunnel syndrome. Electromyography and NCV testing are very helpful in the diagnosis of disorders of the sciatic nerve and its branches. y Focal slowing at the fibular head, implying a demyelinating process, is usually found in patients with acute or chronic peroneal mononeuropathies. Sometimes in those with severe lesions, there is enough axon loss to obscure this important finding. Many sciatic lesions of diverse causes result in marked axon loss, and no demonstrable area of focal slowing will be found even though the lesion is anatomically focal. In these situations, reliance on the pattern of EMG abnormality is still very helpful. Computed tomography or MRI scanning of the lumbar spine, the retroperitoneal space, and the course of the nerve may be needed to establish an exact anatomical diagnosis. Spontaneously arising and progressive mononeuropathy in the lower extremity always presents the possibility of unrecognized tumor. Management of these lesions depends entirely on their cause. Pain control with sciatic lesions is best achieved by pharmacological means. In patients with peroneal palsy, a fitted brace (ankle foot orthosis [AFO]) should be used to protect against ankle joint damage and improve gait unless the muscle paresis is mild. Even in patients with acute lesions, the prognosis of sciatic or peroneal neuropathy is at best, fair. Too often there is extensive axon loss and a resulting lasting deficit. lateral femoral cutaneous, 4?i saphenous, ilioinguinal-iliohypogastric, y and obturator nerves.y The clinical syndromes and common causes are reviewedin Table 29-9 .